New programs for year end forms and filing as well as any published state and IRS tax changes will be available end of December to early January. Any additional tax changes that are published early January will be available end of January to early February. Go to the bottom resource bar and click on Help – OPENRDA Press Releases for program release information and OPENRDA Product Announcements for more information regarding the program changes. Please click this link to access the wikis with new year reminders. That’s a wrap on our 2018 conference schedule! We finished up this fall with School Board conferences in North Dakota, Georgia and Tennessee. It is always good to meet new faces at these shows but it is especially nice to see the familiar faces of our users! Leah Hollingshead was our RDA representative in beautiful Bismarck, ND for the NDSBA conference. While she was there, Leah also hosted our annual ND User Group meeting. She said the best part of the meeting was seeing RDA users actively helping other RDA users! There was so much conversation that Leah did not get a chance to take a group photo. She did manage to catch a few of our users walking around during the conference. We will definitely get all of you next time ND users! Thank you for attending! Sherri Melton and Mimi English tag teamed the GASBO conference in Augusta, Georgia. As always, there was a big turnout with school districts big and small represented from all over the state. 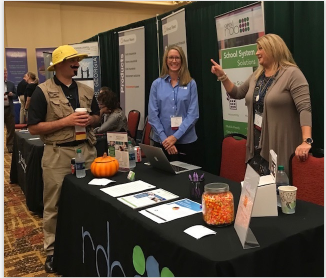 The conference had an “adventure” theme this year, and while Sherri and Mimi didn’t do anything too “adventurous” at the RDA booth, you can see that some of the others in attendance were all in with safari attire and fake mustaches! Mimi finished the season off in Murfreesboro, TN at the TASBO conference. She made a pit stop along the way to resupply our long time customer, Tullahoma City Schools, with purple pens. It’s always nice to see the Tullahoma crew! Once arriving in Murfreesboro the temperatures dropped and there was an early arrival of snow flurries! This year’s TASBO conference was Disney themed. Given the weather conditions outside, it seemed appropriate that Elsa and Olaf lined the convention center hallways! While it’s back to business as usual at the office for the next few months, we are already looking forward to our travels in 2019. 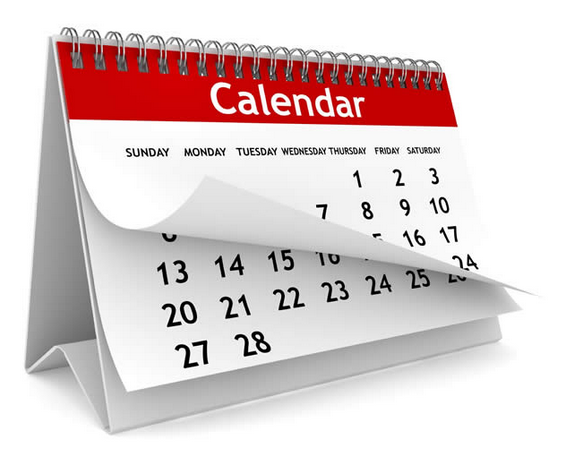 Both conferences and user group meetings will be on the schedule for this spring. We hope to see you soon! Sherri and Stacy had a great time at the COAG conference in Savannah this week. It was Stacy’s first time attending the conference. Sherri did a great job getting Stacy connected. Sherri and friends on the river. As the fiscal year comes to an end we frequently find ourselves cleaning up, cleaning out and getting around to those “to do’s” that have been sitting on a post it note for months. We’d like to help! We are putting sale prices on some of our more popular year end services. Online training for only $800 per day: You will receive the undivided attention of one of our product experts. 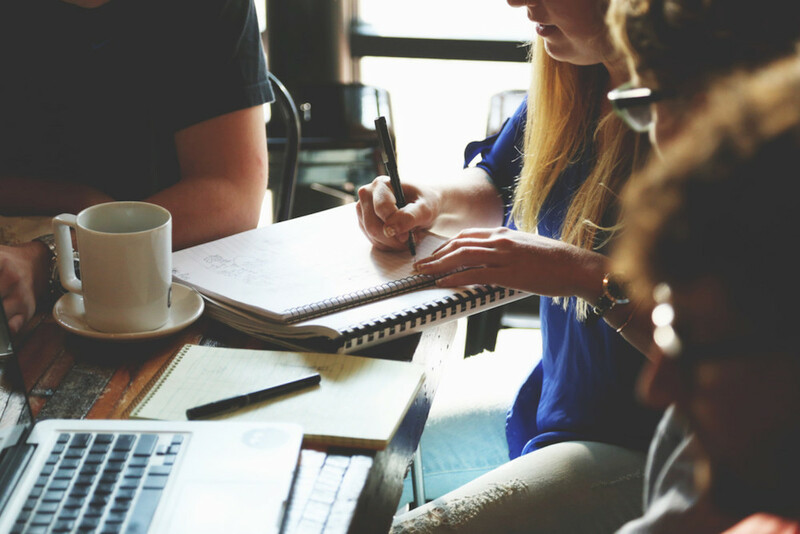 Whether it be a new user with little or no experience or an experienced user that needs to learn a new task, our experts will share a desktop session and walk users through the process, answer questions and help them feel more comfortable with our software. 20% off data purges: Do you have years and years and years of data in your live directory? Have you noticed reports and queries taking a little too long to run? It may be time to purge some of your older data into a historical directory. We can keep any number of years in your live directory (we usually recommend the current fiscal year plus the 2 previous) and then put all that history in a separate data space. Your history will still be right at your fingertips, stored on your cloud server and available through its own unique url. This is one of our best year end clean up services! Prices vary based on data size, but we’ll take 20% off large or small! 15% off new digitized signature setups: Tired of hand signing checks or POs? We can automate the signature process for up to three signature lines on checks and one signature on POs. Set up signatures for the new year to save 15%, and you will no longer have checks or POs lying around waiting on signatures! Account Code Changes and Conversions: need help with ESSA reporting? If you need any assistance with your year end processes or have any questions about these services, be sure to let us know! User Group Meetings in VA! These meetings are beneficial for both you as the user and us as the software provider. You get to learn better ways to solve problems and accomplish tasks, discover new features, and discuss issues you may have. We get to know you better, listen to your ideas, and learn new ways to improve our software. A successful user group meeting is one in which everyone can walk away knowing something they didn’t know when they came in. Current users should have received an invitation to the meeting in your area. If you have not received an email but would like to attend, please let us know. We look forward to seeing you soon! 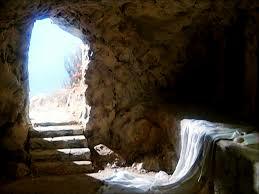 RDA will be closed this Friday in observance of Good Friday and in celebration of Resurrection Day. Christ’s victory over death through the resurrection gives all of God’s people the hope and joy of eternal life. This is reason for much celebration. May you and your family be blessed this holiday! We are ready to Hit The Road!